Have you ever been in a situation and didn’t know what God wanted you to do next? Leave a job? Move to a new city? Adopt a child? Stop trying to adopt? He knows them completely. . .and, bonus, He knows your role. Now the execution of those plans may be difficult, but He is good and will redeem all things. Today’s guest, Emily Thomas, vulnerably shares her story of trying to follow the plan. Worried she’d miss it. Assuming she had to do all the right steps in order to make sure God’s plan succeeded. Emily is a funny (funny) talented mom to two little ones. She writes over at HeyEmilyThomas.com and creates inspiring & fun canvases (one she is giving away!). 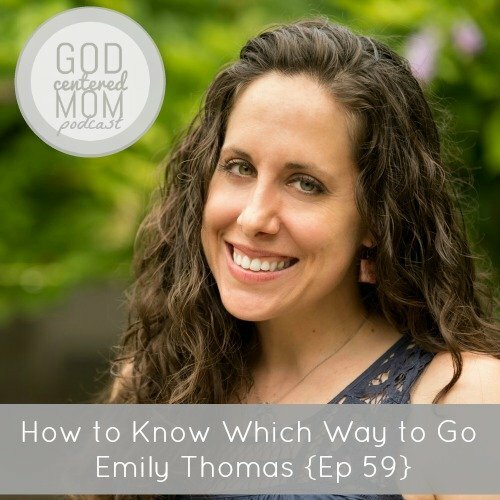 After Emily shares her mom story, she and I talk about some great topics: relying completely on God, boasting in our weaknesses, and how to keep your eyes on God throughout the day. Good stuff. The “yes’ and “no”s. . . following God, not knowing His next answer. The brave love of birth moms who allow other moms to parent their babies. Emily’s story of wanting to be prepared for the 2nd baby, hoarding baby stuff for 2 years, then selling it all. What happened as she stood outside a consignment store holding an empty laundry basket. How we all get stripped of what we think “matters” in motherhood and required to lean totally on God. The process of following God through all the “yes” and “no’s”, learning to listen to what He’s doing. How what we believe about God affects how we view life’s trials. Why Emily got hit by bicyclists when she lived in China. How Emily “keeps her eyes on God” during the day-to-day. How God is not shocked by our weaknesses. 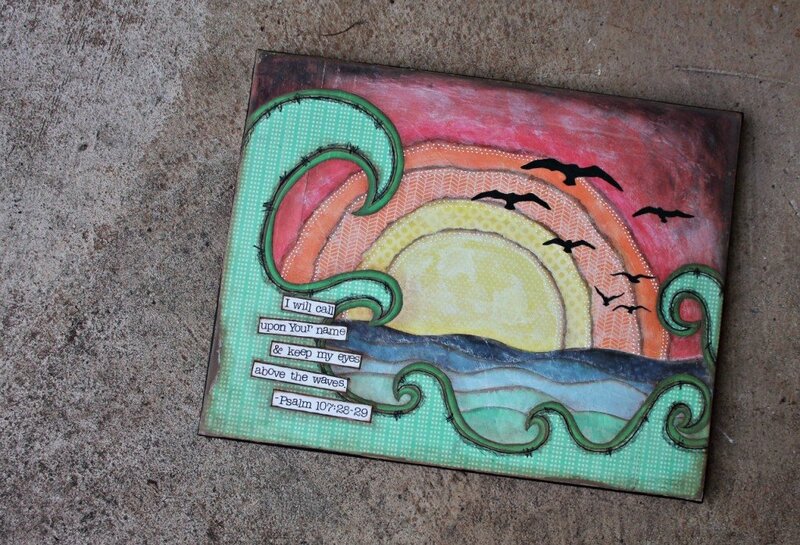 **GIVEAWAY***: A print of this beautiful canvas by Emily, with the line from Hillsong’s Oceans. Leave a comment below or a iTunes review to be entered to win. Ends February 15th, 2015. Winner announced Feb 16th. How do you keep your eyes on Jesus during the day? I love this woman, her story, her family, and of course, her art. agreed, amanda. . . on all 4 things! Hey Amanda! You’re the sweetest and I miss you and those kids! I just found your podcast 2 weeks ago and I love it! It’s so encouraging (and I love that you chat about BSF sometimes). I was very touched by Emily’s story and identified with her, since I’m also an adoptive mom following infertility. One of our God moments in our adoption story was getting the call from our social worker while we were in the airport about to leave for vacation…on our 10th wedding anniversary! Best present ever. thankful you found the podcast and emily’s story resonated with your own. and wow! on your 10th wedding anniversary. . .truly the best present ever! thanks for sharing, karen! This was one of my most favorite podcasts yet!! Loved her story- such a typical God story! Tears were streaming down my face as I’m driving around town listening to it. He is just so good. oh cynthia! yes, looking back I probably should have put a “kleenex” warning on this one. thanks for being a loyal fan and for your encouragement! I am so excited about this episode! Your podcast is a wonderful gift. thanks liv! you are a gift by listening! Emily, I am so glad to call you friend. So glad. 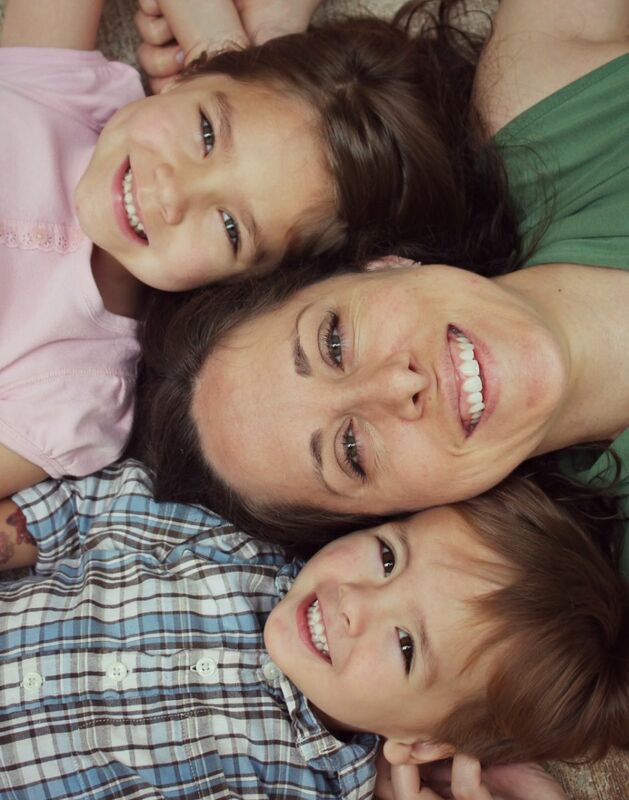 Emily’s story echoes our path to parenthood. During a season when I am struggling with our loss and the loss in our boys’ stories, this talk reminded me that God has not withheld any good thing from us in creating our family the way He did. Thank you. thank you brooke for sharing a piece of your story here. praying God continues to whisper His love, sovereignty, and truth. blessings. Yes. When all around us we only see what seems to be loss and grief that Truth that no good thing has been withheld is an anchor for sure! Thank you for sharing that. hey kathy!!! what a joy to see your little avatar in my comments!! thanks for listening and encouraging emily!! Hey Kathy! Thanks for listening! Can’t wait to see you soon!! Loved the honesty and vulnerability of this episode. Thanks Emily for sharing. I wanted to just mention that it sounds like Emily is a Highly Sensitive Person. It doesn’t necessarily have to do with emotions but with sensory stuff. I am also one and it has been such a game changer to realize it and think of some ways to help me during the day home with three little ones. This blog post was really helpful for me. One of my favorite things about Emily is her vulnerability and sense of humor through really hard life situations. thank you for encouraging her in that as well. Interesting to know there is an official title for what she described. I’ll make sure she sees this comment. thanks hanni. Hanni. Seriously. This article is going to be my new manifesto! It touched on all the things I do (or know I should do and forget) to keep my “special” self from losing it. I really appreciate you mentioning it! I really enjoy the podcast. It is so true that God’s timing is His and all our planing isn’t a guarantee. Thank you to Emily for sharing her journey. The canvas is beautiful. love that line diana, ‘timing is His and our planning isn’t a guarantee’. thanks for sharing that! Thanks for listening and for liking the canvas! Maybe it will land itself in your mailbox! I love this! We just unexpectedly adopted our son a few months ago, so you talking about God having plans that are not my own (also type A) so resonate with me. Oh man. Such an exciting/completely crazy-making season! What a blessing though. Happy for you guys! Loved this episode!!!! As it happens, Emily and I are going to be roomies at Influence this year (hoooray!) I told her that this chat made me 1,000 x more excited to get to know her. Her story is really similar to a friend of mine’s, and it helped me know how to support my friend better. I so appreciate how Emily’s story reminds us that we really do have to surrender ALL to the Lord. Totally cried at my kitchen sink; it was beautiful. well that’s super duper fun!! Ya’ll are going to have a great time. So true, hearing these stories helps us know how our friends in similar situations feel. (And sorry about the tears. . .needed the Kleenex alert). I forgot to mention that I have night terrors and I sleepwalk..
Love this. We’re currently in the adoption process and going through some other life stuff and just trying to seek God’s face. Congratulations, tricia. thankful emily’s story was helpful to you and just stopped to pray God would give you wisdom in all your decisions. oh Oceans is uhmazing!! so glad we could introduce you to it. Thank you for listening to the podcast. . .look forward to getting to know you better. What a beautiful stories! It is so hard to wait for God’s perfect timing…something I am still struggling with! 🙂 Thanks for sharing with all of us! Just found you on Podcast and so thankful I did – Loved hearing Emily’s heart on her fertility and adoption struggles, she truly encouraged me in so many ways! Thank you both for authentically sharing! Yeah! So glad it could encourage! Thanks for listening, Melissa. Please listen to every one of Heather’s episodes. I do and my kids are better for it! Her story spoke to me about our weaknesses and how we need to lean on the Lord more. And not we ashamed or hard on ourselves. What a blessing! I could completely relate to the noise issue! Loved your recharge idea for grabbing 5 minutes or encouraging the kids to be noisy in any other room. Homeschooling with 3 ages 7, 4, & 17 months it’s so not quiet during the day time! God is the ultimate redeemer, and it loved hearing about that through your story. Looking forward to reading more from you, Emily. Will never forget the empty laundry basket. Such a great reminder of Gods way in our lives. Even when we think we have it figured out, he reminds of his perfect plan. i am intrigued by the write up and just need a little more time to listen to it. i’m gonna!! Such a great reminder of how our lives truly are in Gods hands and when we give it to him he will give us the very best. His love is sooo good!! Thank you for the reminder. God Bless! Looking forward to catching the full audio tomorrow on my work drive. Loving the art. Beautiful! I recently found your podcasts on iTunes and listened to this one. Oh my goodness! It was such a treat to listen to your conversation. We struggled w/ infertility and to hear Emily’s tenderness and her talking through her tears was very touching. I was reminded of how I felt during that time. And I loved your conversation about what her image of God was (i.e. that He was a God who made her work to earn his good gifts; that he makes things tricky to figure it out to make it happen). That was very powerful to me today as I listened and folded laundry. 😉 So…thank you both of the conversation that you had many months ago.